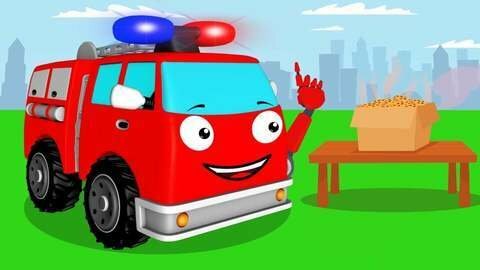 Meet a free online car cartoon about Red Fire Truck that baked chocolate cookies. Sweet tooth Monster Truck cannot wait to try a yummy treat. Will he wait for a tasty birthday present? Watch the new series of the most popular cartoons for children on SeeZisKids!